Trap and Turn is one of the Megaduck's harder to find games, despite it being released as a Cougar Boy variant. 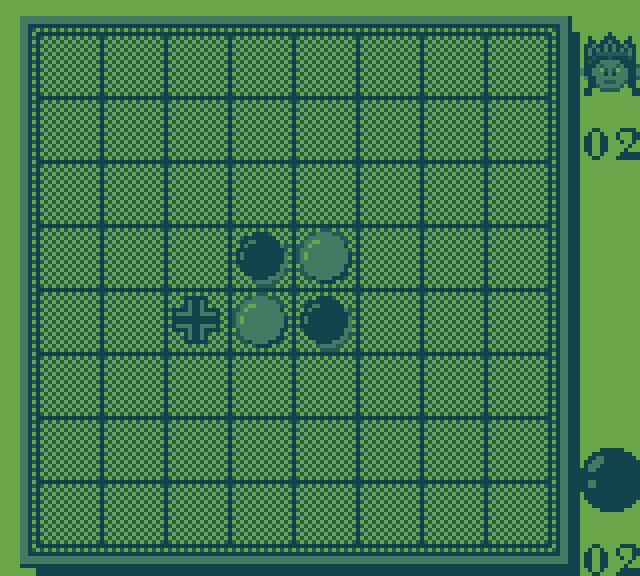 Whether it is one of the more desirable ones is questionable, depending on your love of the board game Othello/Reversi, itself something that has more than a century of history behind it. The game seems to have garnered incredible popularity in Japan, given its history of being ported under various names in videogame for during the 90's. Reversi/Othello in it's board game form. Can you tell that we are struggling for screenshots with the Megaduck! 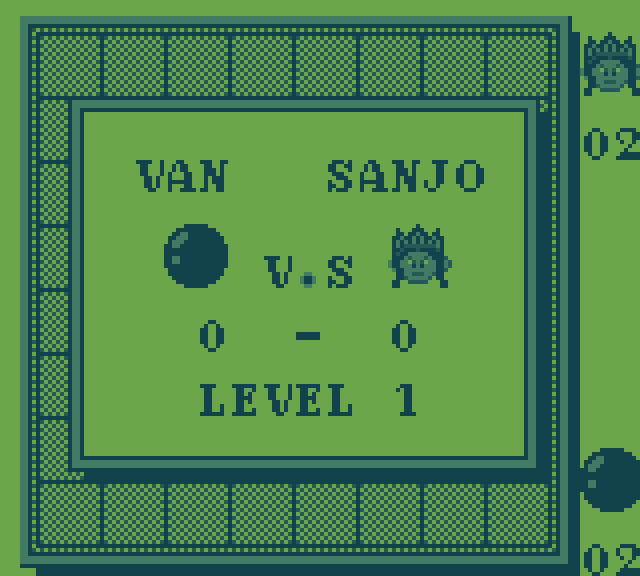 Each of the 4 selectable levels has a different character to compete against. Not that it matters as the CPU will destroy you no matter who you select! This is how the game starts. Control your excitement. You aren't going to win anyway!